Excellent Itinerary for Exploring Ireland & Scotland and a Great Ship. 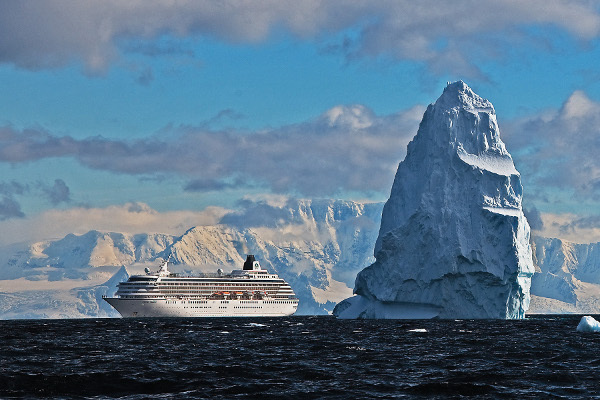 Overall, can't say enough great things about this itinerary and the Crystal Symphony team. While the staterooms are a bit tired, the staff more than offsets this with their dedication to service and excellent food, beverage and entertainment experiences. The liquor and wine, included in the fare throughout the ship, we're all top shelf. You won't go wrong with this itinerary if you want to get a great taste of Ireland, Northern Ireland, Scotland and the Channel Islands. My recommendation is to book your tours on your own as the savings will help off set the cost differential for those upgrading from mid-tier cruise lines to luxury cruise lines. Cabins need a re-fresh and I believe that is planned for late 2017 or early 2018. I would recommend selecting a specific cabin. We took the option to have a guaranteed cabin class with a better opportunity for upgrade, but we're disappointed with the cabin location as it adjoined a cabin that thrust out from the ship (forward) and blocked what could have been a better view. Also for this itinerary a verandah was not really needed as the temperatures did not allow for a great deal of use of the deck. Don't miss casual dining in the Lido Cafe. It is only offered a few nights of any itinerary at present. It is not a buffet, all meals are prepared in the Cafe and the preparation was among the best meals we enjoyed. We did a trip to neighboring Sark and while the island was interesting, we would have rather spent our time on Guernsey instead. You can do this port on your own and save money booking your tickets for the Waterford House and Waterford Museum on your own. Great town ... Especially if you are a beer and Beatles fan. Wonderful pubs/bars to relive the Beatles early years. Here you can also take in all attractions on your own and purchase tickets in advance online. We were able to engage a private car in expensively in this port. Do visit Bushmill's, but the Giant Causeway was a major let down and burned up a bunch of our time in this port. If you are not afraid of heights do the rope bridge. Be sure to experience the Crowne Bar! This was a first call by Synphony to Isle of Skye and was among the best ports of call. No better scenery can be had in the hills and coast of Skye. We found the people here less than friendly and we understand that Crystal will not be returning in future years ... A good decision. If you find yourself here Skapa and Highlands distilleries are interested. Do not go to the "Merchant Bar" in town ... The people are totally unfriendly and may well ruin your visit to Kirkwall.